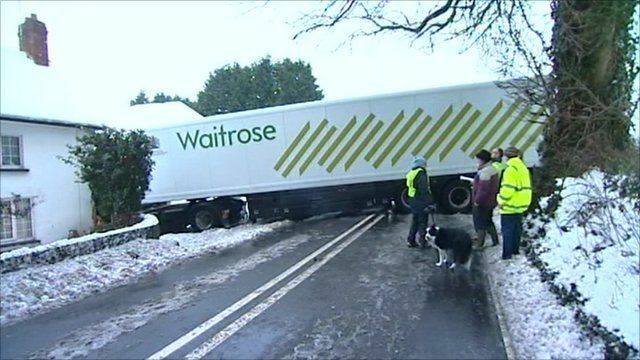 The son of a Devon householder has described being woken up by a Waitrose lorry crashing into his family's home. Devon and Cornwall Police said the jack-knifed lorry on the A3052 at Newton Poppleford caused some traffic problems after hitting the farmhouse. Shaun Carter, who was asleep when the lorry hit the house, said he rushed to find out if the driver was injured.